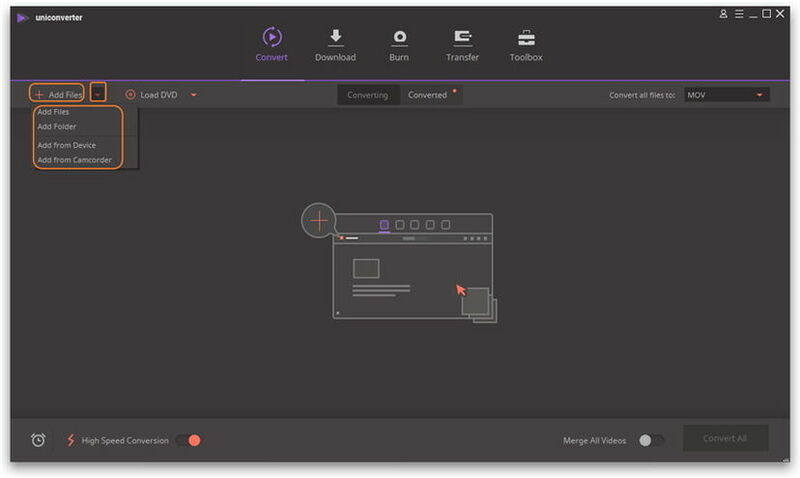 You will need a solid and intuitive video converter to convert AVI to DV format quickly and easily for editing on either iMovie or Final Cut Pro. Even though there are various video converters available on the market which claims to support all types of inputs and outputs based on fast conversion speed, you might still experience the crash of program, degraded video quality or no audio during playback. 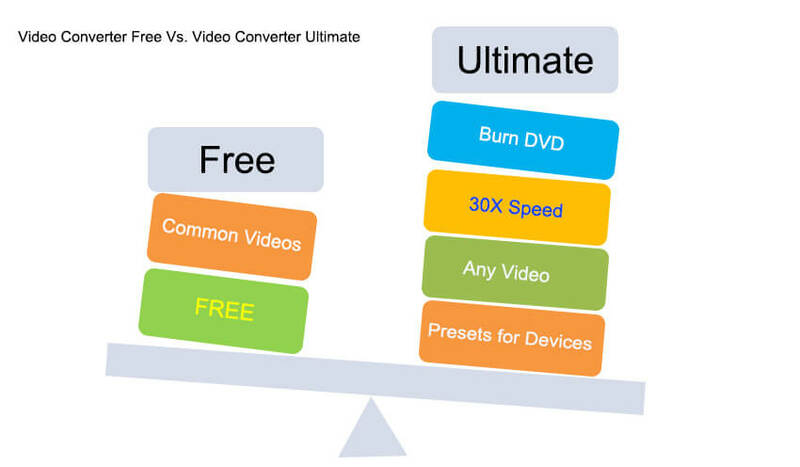 In order to address your concerns, Wondershare UniConverter (originally Wondershare Video Converter Ultimate) offers you ZERO quality loss in conversion based on unparallel speed (30X faster) on top of its broad support of file formats. What's more, you can easily complete the task even though it's your first time, thanks to the impressive and intuitive interface. Convert AVI to DV, MP4, WMV, MOV, and other over 1000 formats. 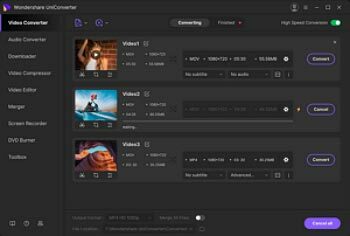 Versatile toolbox combines video metadata editor, GIF maker, cast video to TV, VR converter, and screen recorder. This article shows you how to convert an AVI video to the DV format on a Windows PC. Note that the Mac version (Mojave included) functions almost the same. Step 1 Upload AVI files to the converter. Drag-and-drop the media files directly onto the converter. Click the Add Files button to import your target AVI files. Note: This program also supports batch conversion, so you can convert several AVI files at one go. Step 2 Set the output format as DV. Click the down arrow button from the Target box and select the Video tab, choose DV in the left sidebar and choose the video resolution in the right to confirm the output format. Step 3 Start AVI to DV conversion. 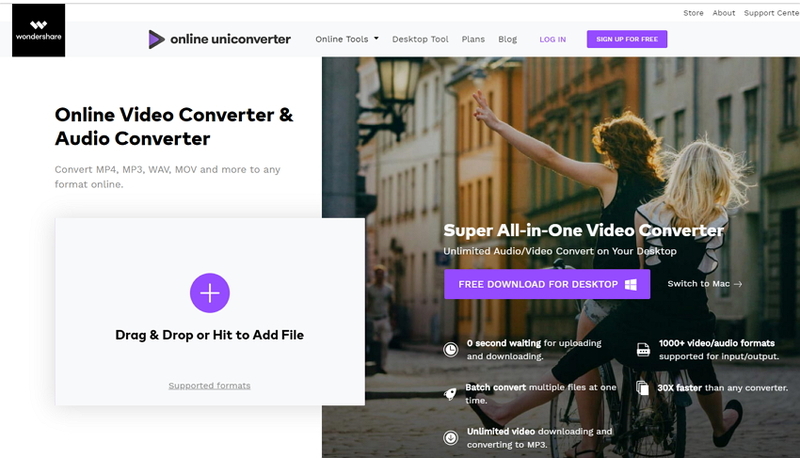 Click Convert All and let the video converter finish the rest automatically. There'll be a progress bar indicating the percentage and remaining time required for the conversion too. Once it's completed, you can switch to the Converted tab to find the converted DV files with no hassle. This program does not only convert an AVI video to DV, but it can also convert other popular video formats to and from DV without losing video quality. You can download your favorite music video from YouTube and then convert it into an MP3 file format for portable device or music library. A direct conversion of video files into the most popular and common file types are also supported. 1. Convert AVI to DV with watermark. 2. Unable to download videos from other sites except YouTube. 3. Can't save files into an ISO image file or DVD without watermark. You can use the Online UniConverter (originally Media.io) below. It enables you to convert your AVI video to DV with the utmost convenience and ease. Note that it offers you a option to receive the download link via email, which ensures that you converted files is safe and only accesible by you. AVI is a multimedia container that contains both audio and video data. It allows synchronous audio-with-video playback. 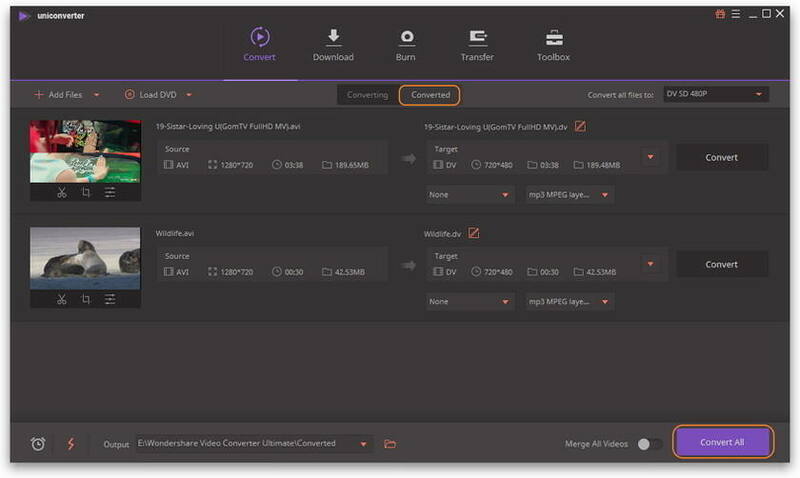 AVI files support multiple streaming audio and video DV is a container used to stored digital videos recorded on digital camcorders. The video's data often compressed in a lossy method for storage, whilst it's the complete opposite of the uncompressed audio.